يشكل شقق أوكس أون لونز دايل بموقعه الممتاز في المدينة نقطة انطلاق جيدة لاستكشاف أفضل ما فيها من معالم ومناطق نابضة بالحياة. إن موقعه الجيد الذي يبعد 0.5 km فقط عن مركز المدينة يساعد النزلاء على الاستمتاع بمعالم المدينة ونشاطاتها. إن سهولة الوصول من الفندق إلى المعالم السياحية الشهيرة الكثيرة في المدينة هو استثنائي بحد ذاته. يعرف Oaks Hotels & Resorts بالمستوى الراقي لخدماته ولباقة موظفيه، وهذا ما ستجده في شقق أوكس أون لونز دايل. لضمان راحة ضيوفه، يقدم الفندق الخدمات التالية: أمن على مدار 24 ساعة, خدمة التنظيف يوميًا, خدمة سيارات الأجرة, خدمة حجز التذاكر, مجهز لذوي الإحتياجات الخاصة . استمتع بوسائل الراحة الراقية في الغرف أثناء إقامتك هنا. بعض الغرف تتضمن تلفزيون بشاشة مسطحة, غرفة معيشة منفصلة, غرف لغير المدخنين, مكيف هواء, تدفئة لمساعدتك على استعادة طاقتك بعد يوم طويل. كما أن مجموعة الخدمات الواسعة الموجودة في الفندق لضمان راحتك تترك لك الكثير من الخيارات لقضاء وقتك أثناء فترة إقامتك. إن شقق أوكس أون لونز دايل هو خيارك لخدمة الفنادق الراقية في المدينة. 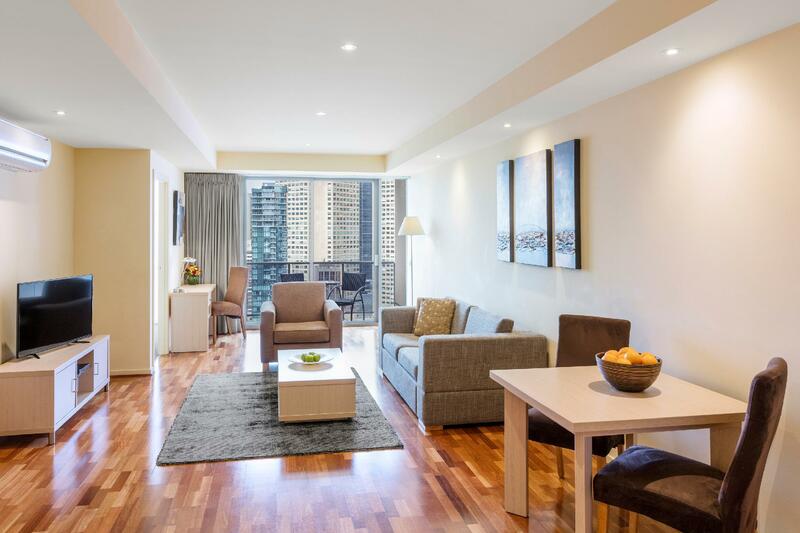 The 2 bedroom apartment we had was perfect for our recent visit to Melbourne to see "Beautiful" musical. It's an easy walk to either the Princess or Her Majesty Theatres. The living space is quite large with a seperate dining area. The bedrooms were a good size too. 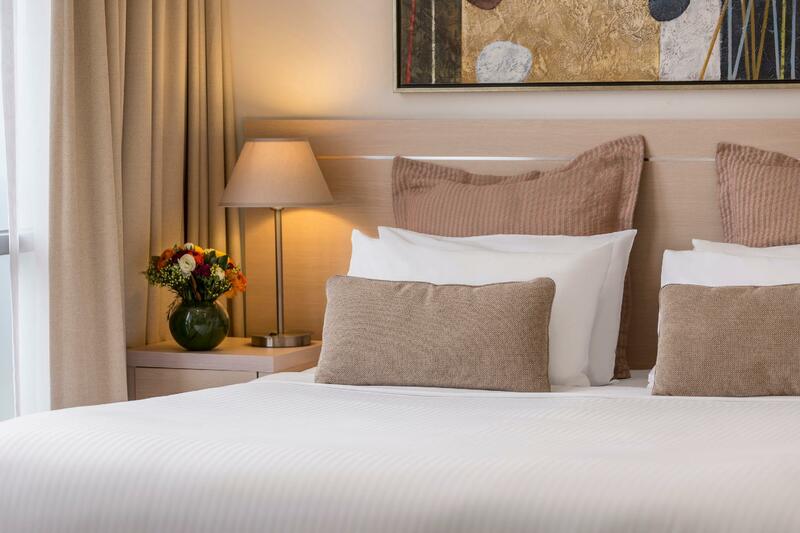 Nice clean linen and towels. No ensuite, just a single bathroom to share and unfortunately the toilet is in the bathroom which can be awkward at times. As other reviews have mentioned , the shower over the bath can be a big step up and down if any guest has hip issues. Luckily we were aware of this and took a small foldup step with us. Problem solved. I do have to commend staff for their caring and concern for this issue with my elderly mother. They did offer a couple of other room options or even another Oaks hotel nearby to make it easier for mum. It was our choice to stay due to location and so they also provided us with an anti slip mat for the bath. So we couldn't have asked for any better service. Nice place for business traveller, near to food place and shopping. Place was clean, neat and nice view. 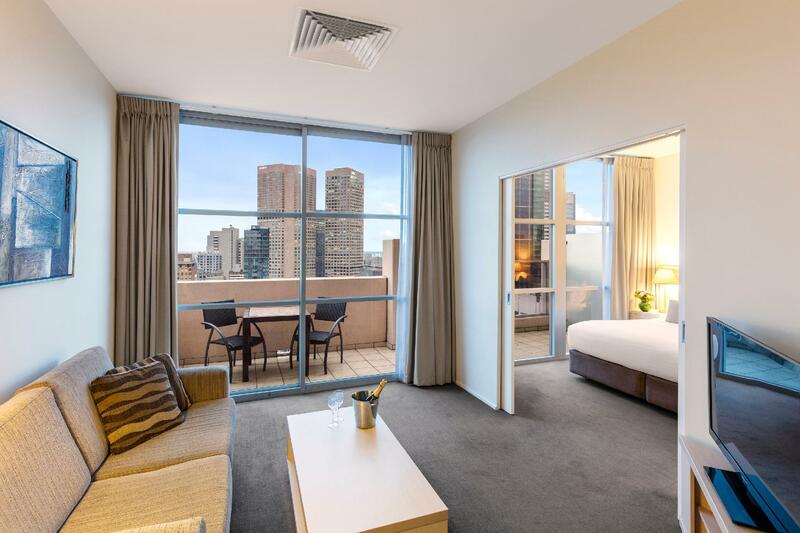 Booked 2 bedrooms apartment with city view for 5 nights. We found our apartment was excellent. Clean and tidy. This apartment also located in the excellent location. Tram no 96,86, city circle and parliament station is located 300 meters from apartment. Tram no 96 & 86 will take us to southern cross station where the airport express bus is located. There's IGA convenient store within 200 meters. 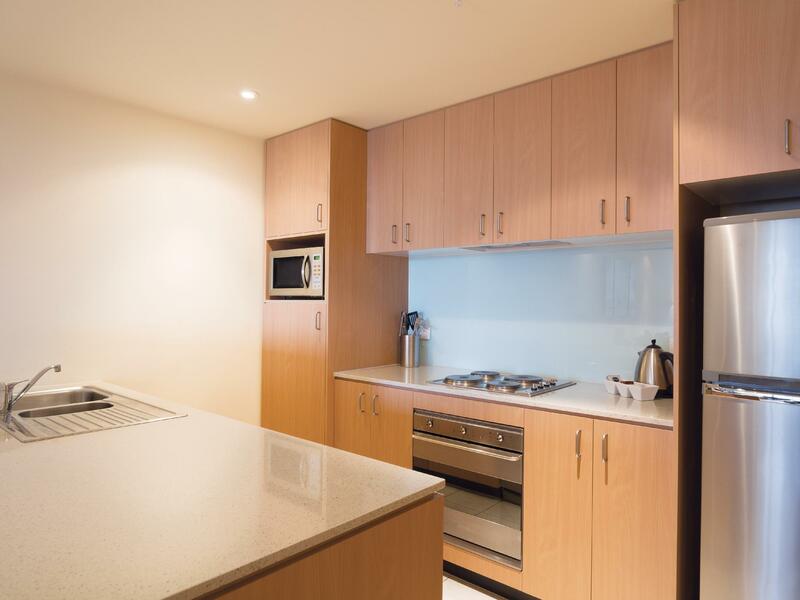 The kitchen is equipped with oven, dishwasher, microwave etc. There's a washing machine and dryer in our room which is perfect for family traveller like us. Good stay. 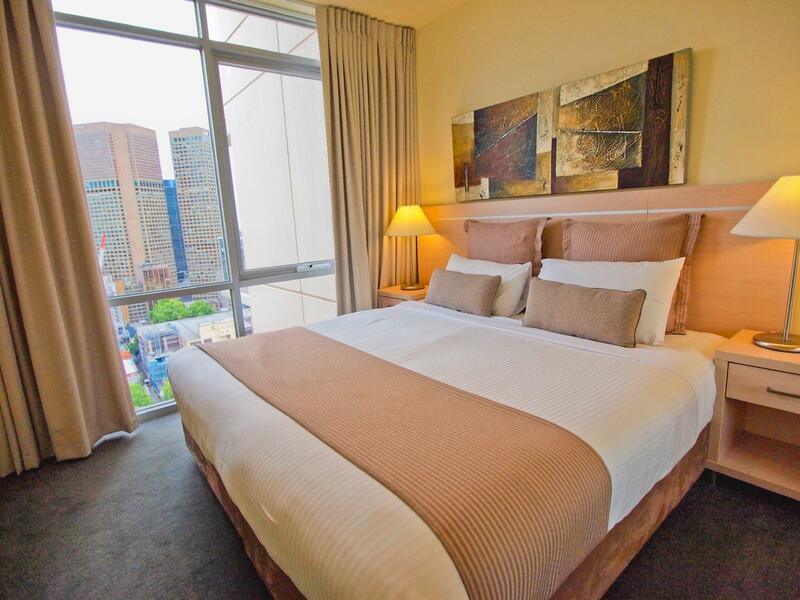 It is conveniently located in the city centre and is adjacent to famous tourist attractions such as the Parliament House, Melbourne Museum and Chinatown. It is clean and spacious. We enjoyed a comfortable stay. One thing for improvement. The wifi is strong but it would be nice if free and unlimited use of wifi is permitted. Pleasant, enjoy the great city view at high floor. Location along Lonsdale is central near Chinatown with lots of eating places. The only downside is one of the bathrooms is a little run down and needs maintenance. 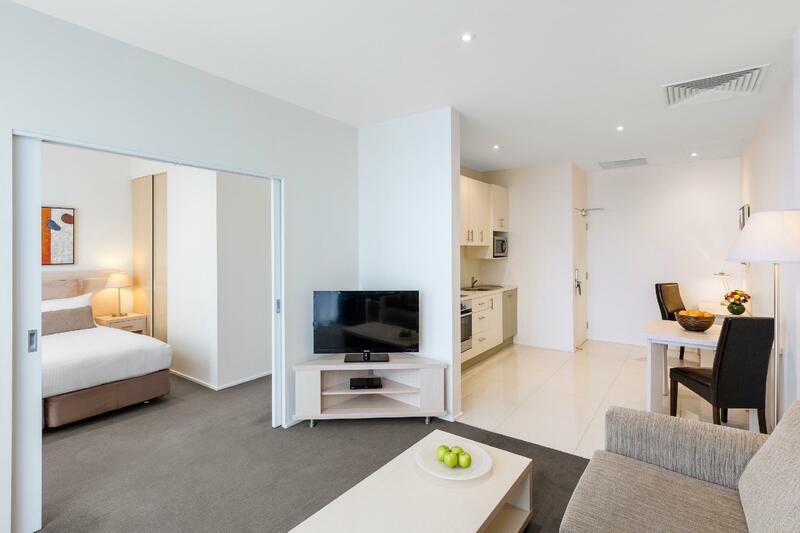 This hotel/apartment always been my family's favorite place to stay if we go to Melbourne. There's 2 more Oaks in different location, but i guess this is our favorite because of the location and the room is more bigger than others. Couple years past, there's no coffee shop or room service, but now there have it. stayed 5d4n in 1-Bedroom apartment was extremely spacious and equipped with all facilities, my kid really enjoy the room and playing around the sofa. Very close walking distance to free tram stop,helpful and friendly staff explaining the map and tourist destinations.A heater was great since we went in the Winter though couldn’t covered our bedroom,we need to open the door over the night.the step up in and out of the shower may be dangerous for kids or older guests. We have the 1 bedroom, the overall room plan is huge and they offer full equipped kitchen. Washer and dryer also offered in the room. However the poor side was the bedroom did not have any air condition. We had to depend the air conditioner in the living room instead. Although the bed was huge and comfortable we did not have a good sleep due to the air circulation in the bed room. Very spacious clean room. Complete kitchen necessities. Easy to use washing machine with dryer complete with instructions. Two TV sets. Veranda with table and chairs. Great location. 2 minutes walk to train station. Not so happy during check out. I checked out at 6 am and went back to our room for we waited for our friends who picked us up at 6:30 am. I informed the front desk that we will still be staying in our room. Anyway if not for the early check out we can stay until 11 am at least. When I got back in our room, there was no wifi connection which I needed for I was communicating with our web check in for our forthcoming flight. I called the reception twice, same man who checked me out and asked him to put back our connection. He insisted we are still connected. My husband went down to talk to him personally. Only then that he checked and confirmed that our connection was cut off after he checked us out. Lost opportunity for us for after my husband got back in our room, our friend already came. All the basic necessities were provided. The apartment was spacious, clean and quiet. Staff at reception courteous. I have been here quite a few times already - very consistent. Save yourself the headache and choose Oaks on Lonsdale! 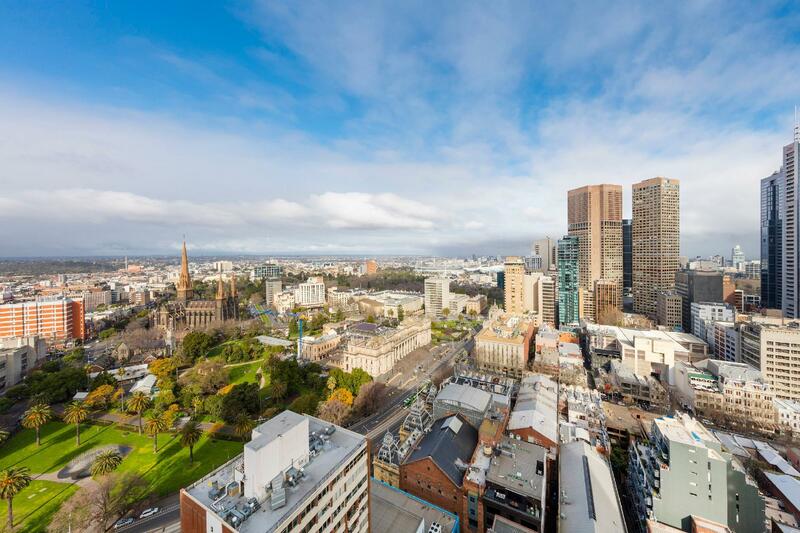 Despite being almost at the northeastern tip of the city centre, location is still within walking distance to main city sights and tram stations. Comfortable beds and good amount of space. Only downside is the erratic shower which is either too sensitive to the hot/cold water control or running out of hot water altogether. We have stayed here the last 3 or 4 times we have been to Melbourne in the last couple of years. It is a great location with good sized rooms. Quiet too so that makes for a relaxing peaceful stay. 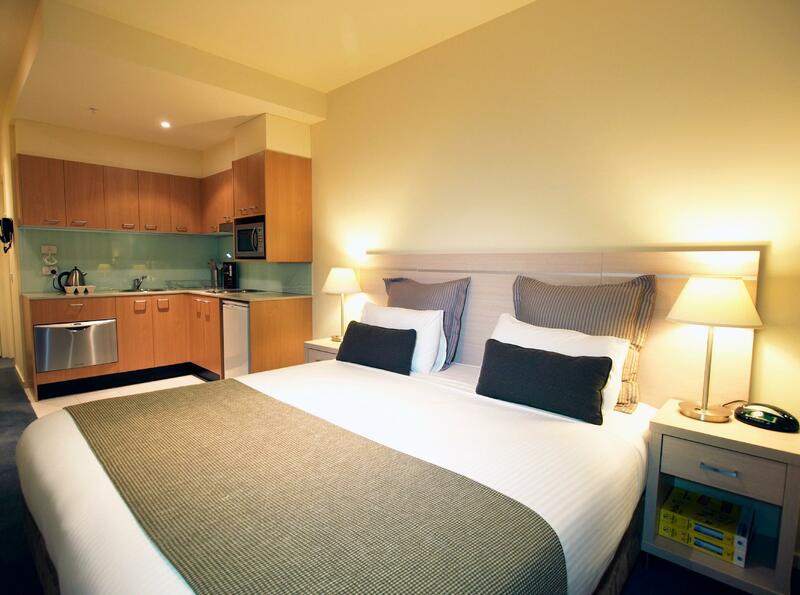 Isn’t a fancy hotel but has everything you need and location is very convenient for getting around Melbourne. Disappointed there are charges for Wi-Fi after the first 24 hours. 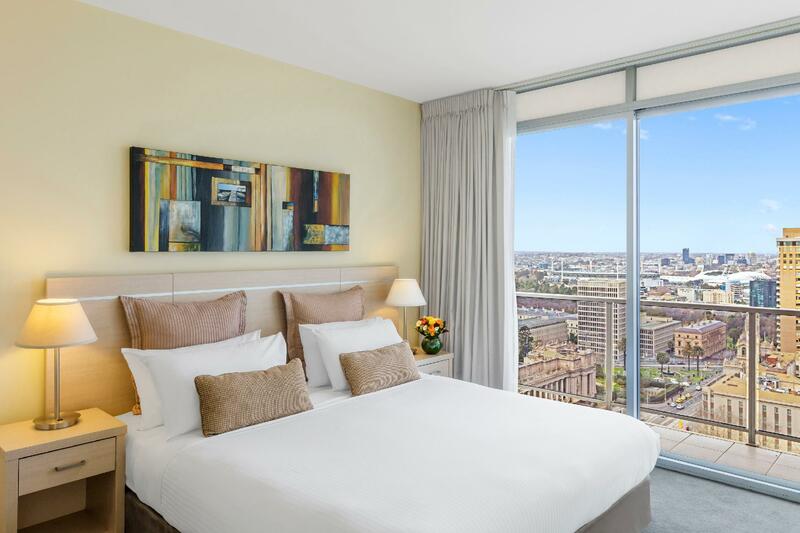 I travel to Melbourne for business quite often and wouldn’t stay here again. We stayed for 6 nights. Very clean rooms, great members of staff. Excellent location with easy access to everywhere else. Will surely stay here again whenever I am in Melbourne. And lastly, a big thanks to Michael at front desk, he was very helpful. Such an easy location to access. Right near Parliament station. Next door to a cafe and IGA supermarket was very handy. Staff were great. Aida on reception was super helpful. After staying in a few places in Melbourne on business trips lately, this is the one I will definitely come back to. Spacious, clean and well appointed accommodation in a great location. I was very impressed by the extremely polite and helpful staff. Our room was exactly what we wanted, clean, well appointed and comfortable. Car parking was easy, although I'm glad we drove my smaller car and not our 4X4. Will definitely stay there again. Arrived at the Oaks and found it to be extremely clean and comfortable. Great position near China Town and Melbourne Museum. Bed was lovely and view great. Rooms really spacious. Showers definitely needed updating, but otherwise had abgreat time. Even went back a couple of days later upon return from a flight. Highly recommend.